JUST REDUCED>>>OWNER MOTIVATED! 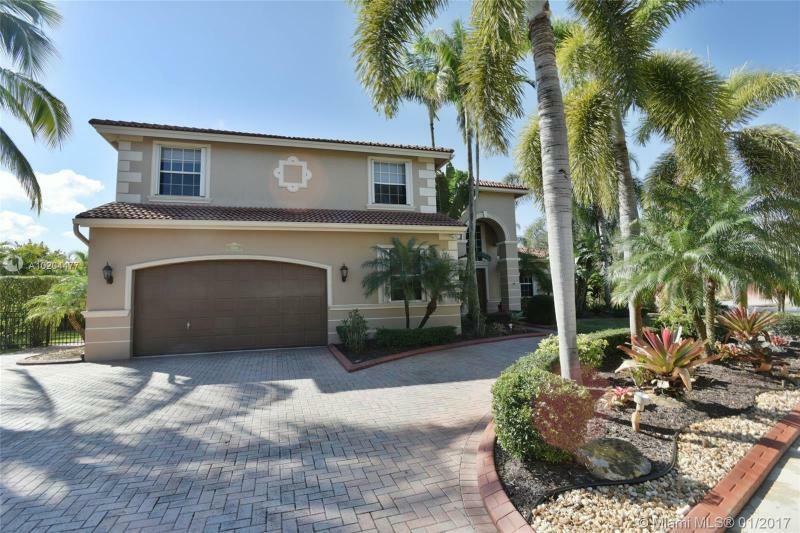 Desirable pool home in prestigious Ridges. Bedrm on 1st floor w/own full bath, additional full guest bath on 1st floor. Huge family rm, large kitchen w/granite, formal living/dining rooms. Tiled in living areas. 4 beds upstairs...2 are Jack/Jill. Master suite w/additional large separate room. Lots of closet space throughout. Screened patio & pool w/Jacuzzi. Home on cul-de sac so no through traffic. Manned gated neighborhood, desirable Weston schools. Close to shopping. Enjoy this absolutely beautiful partially renovated 2-story 6-bedrooms 6-bathrooms, 2-car garage plus detached guest house. Light and bright open floor plan. Impact doors. Metal roof. First floor completely renovated with porcelain floors 24X24, brand new Custom kitchen with quartz countertop and SS appliances. One bedroom and gorgeous full bathroom on first floor. Large patio perfect for entertainment and space to add a pool. 2 AC units, huge generator. Excellent location.Income oportunity Must see!! Bring all the relatives!! Unbelievably large family home. House has 6 bedrooms. 3 bathrooms, 2 living rooms, family room & large utility room. Detached 30 X 20 screened patio has kitchen and is used for family holiday parties. 20 X 20 office with bathroom & shower. 4 carports and large shed. 1.62 acre is totally fenced. You must see this property to appreciate it. Come ready to put on offer on this splendid 6 BD/4 BA READY TO MOVE IN home! Walk through the front door to a spacious, bright room excellent for entertaining family & friends while overlooking the pool & golf course through beautiful french doors. 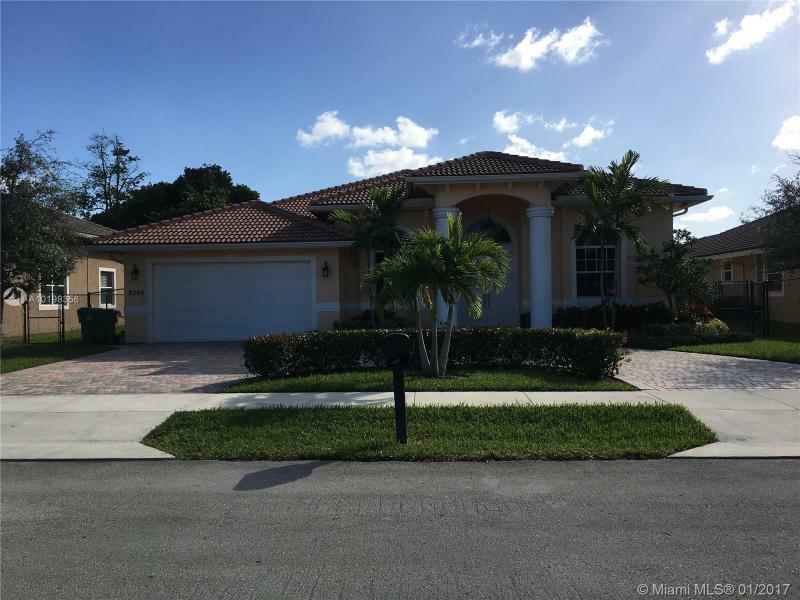 This beautiful home offers open rooms, marble & wood floors, granite counter tops, top of the line appliances, wine cooler, lots of storage, jacuzzi tub, dual sinks, outside grill, pool, jacuzzi & a white picket fence to complete the look on your dream home. PEMBROKE SHORES ESTATES 24 HR GATED COMMUNNITY, 5 BEDROOM 4 1/2 BATHROOMS, LG POOL ON A 17258 SQ FT LOT ON LARGE CORNER LOT. POOL DIAMOND BRITE 3 YRS OLD WITH CHILD PROOF GATE. ONE BEDROOM DOWNSTAIRS AND TWO MASTER SUITES SIZE BEDROOMS UPSTAIRS PLUS TWO LARGE BEDROOMS. AUTO SPRINKLER SYSTEM, ACCORDIAN SHUTTERS, COVERED PATIO, UPGRADED KITCHENS WITH WOOD CABINETS AND GRANITE COUNTER TOPS, SS APPLIANCES AND VOLUME CEILINGS. A RATED SCHOOLS, ONE OF THE MOST DESIRE COMMUNITIES ON WEST PEMBROKE PINES.